Family Support is a service is for Family Members who are affected by a loved one’s substance misuse. Family Members carry a lot of worry and concern when they witness a loved one’s using lifestyle and can experience high levels of stress when doing so. Family members often describe feeling alone and often express uncertainty as to whether they are doing the right thing or not. Family support focuses on reducing levels of stress for family members and looking at changing aspects of your life that can improve your quality of living. It also includes options of learning how to encourage your loved one into treatment or at least to reduce the level of use. 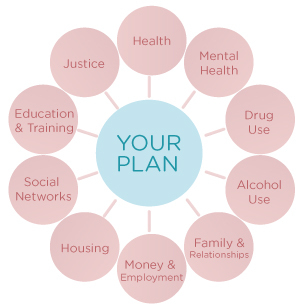 Regardless of a loved one’s choices in relation to their substance misuse it is possible for family members to lead a positive lifestyle. There are currently no family support services operating from DROP. However there are Family Support Services being offered in the Bray Community Addiction Team and Dun Laoghaire Rathdown Community Addiction Team on a one to one and group basis.